Who? 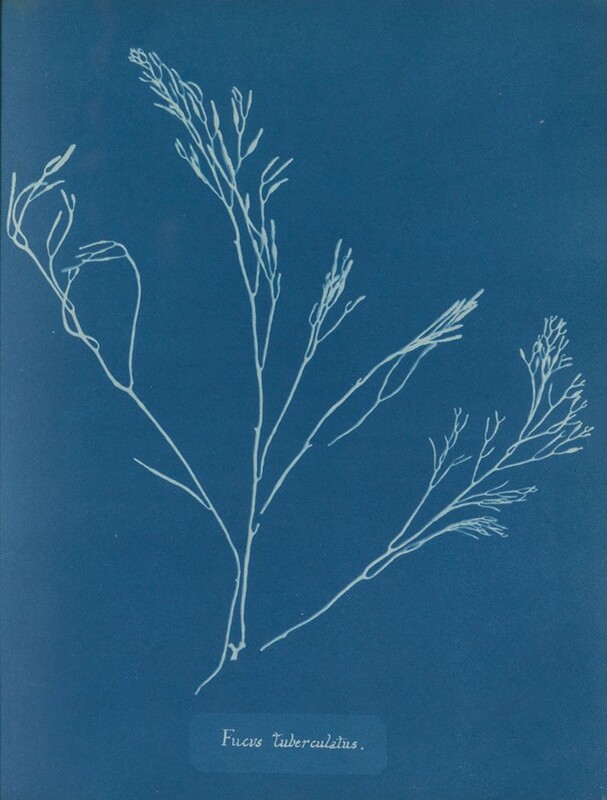 A botanist and photographer, Anna Atkins was born in 1799 in Tonbridge, Kent to the scientist John George Children and his wife, Hester Anne. An only child, Anna lost her mother soon after she was born and was raised by her father, who ensured his daughter received a predominantly scientific education – unconventionally, for a woman at that time. Her father had a laboratory at home in Tonbridge, and Anna grew up assisting him in it. When he translated French naturalist Jean-Baptiste Lamarck’s work Genera of Shells, it was Anna who helped him craft the 250 shell engravings which accompanied the text. In 1825, she married London West India merchant John Pelly Atkins and moved to his family home, Halstead Place. There, Anna nurtured her own interest in biology, collecting dried plant specimens which she is believed to have offered up to the museum at Kew gardens. Both her father and husband were friends of William Henry Fox Talbot – the creator of the earliest known photographic negative – and Sir John Herschel, who invented the photographic printing process, the cyanotype (or blueprint). Inspired by the work of both, she developed a fascination with photography and is known to have shared possession of a camera with her father by 1841. Any photographs she might have taken with it, however, have not survived. Atkins is often considered the first female photographer, although this is disputed; Constance Fox Talbot (Henry’s wife) is also known to have experimented with the medium of photography in the late 1830s. What? Where Atkins’ pioneering spirit really came into play was in the creation of the world’s first photographically illustrated book. It was handwritten, and contained a total of 307 cyanotypes of British algae – though these are far more appealing than they might sound. 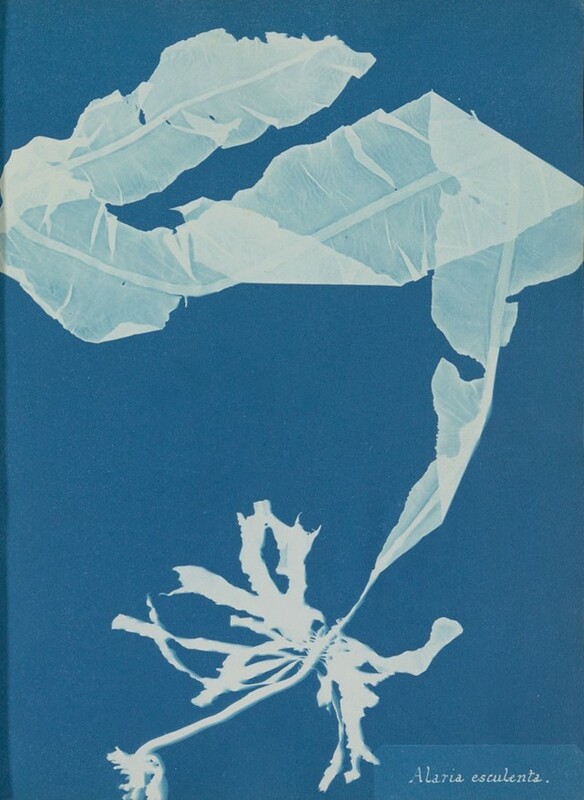 By placing dried seaweed on cyanotype paper – on which a photosensitive solution of two ferric salts had been applied – the paper was then exposed to strong sunlight, the only form of UV light available at the time. Next, the paper was rinsed and left to dry, revealing a white silhouette of the plant against a Prussian blue background. 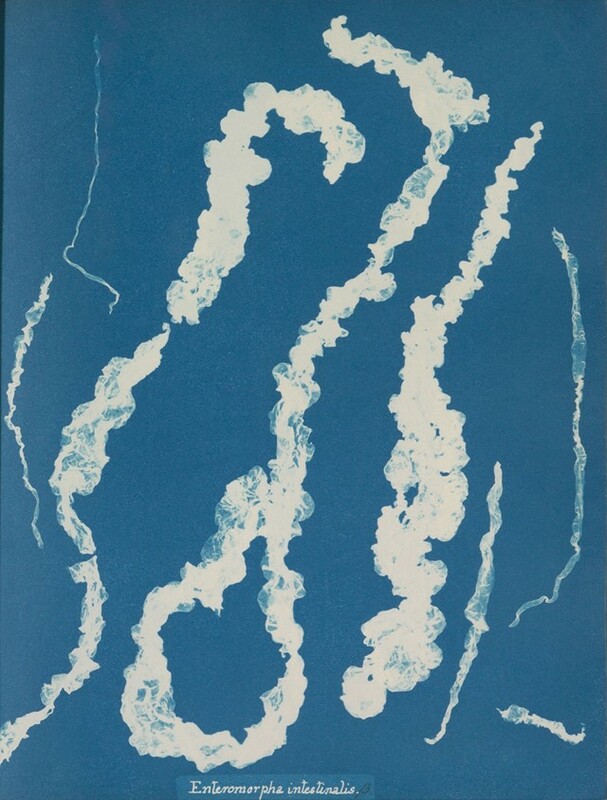 This was a cyanotype, or ‘shadowgraph’ as it was known at the time – in essence, a photogram. The process was executed entirely by hand and, depending on the strength of the sunlight available, could take long periods of time to perfect. 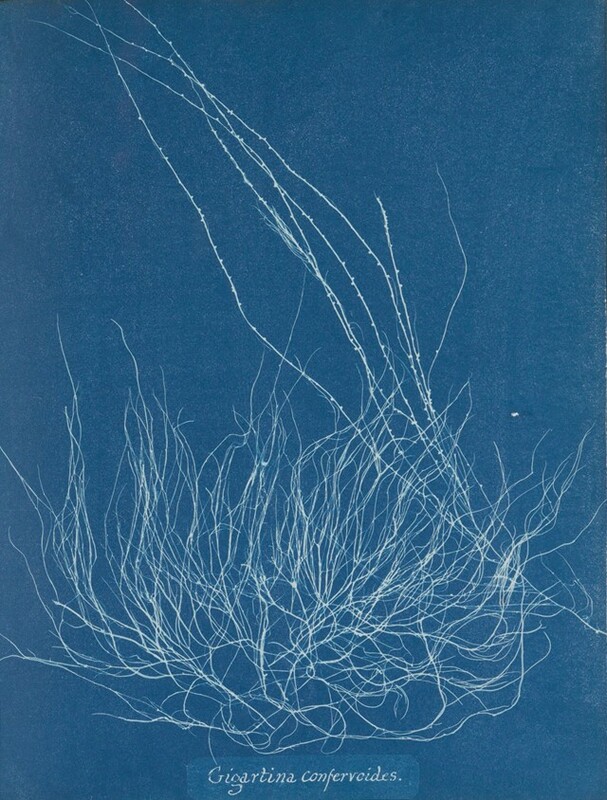 It is for this reason that the book in question, the privately published Photographs of British Algae: Cyanotype Impressions, is dated between 1843-1853; it took Atkins a decade to make. Why? Although it was a long time in the making, Atkins’ groundbreaking production of the world’s first ever photo book has made her something of an icon in the publishing industry. And now, thanks to a new acquisition by Amsterdam’s Rijksmuseum, the evidence of her innovation is set to go on display in a new exhibition entitled New Realities: Photography in the 19th Century, which will open at Amsterdam’s Rijksmuseum on June 17. Atkins’ fascination with the identification of species, not only algae but other plants too, saw her work with British and foreign ferns and plants that flower. Together with her friend, Anne Dixon – incidentally, Jane Austen’s first cousin – the two produced other photogram albums, Cyanotypes of British and Foreign Ferns (1853) and Cyanotypes of British and Foreign Flowering Plants and Ferns (1854). Anna lived to a ripe age for her time, 72. She is remembered as the woman who experimented with early practices of photography, who created images that unwittingly blurred the line between science and art, using, so simply, flora and the sun. 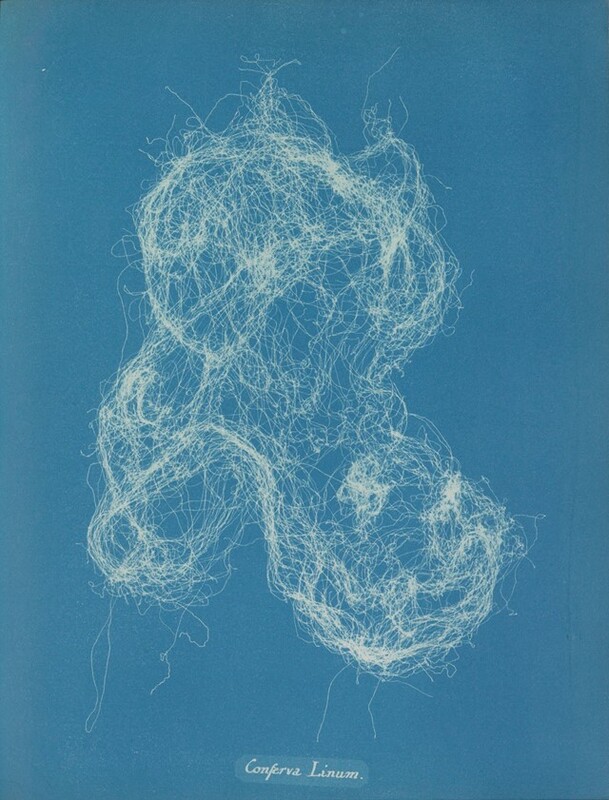 Anna Atkins, Photographs of British Algae: Cyanotope Impressions will be on display at the Rijksmuseum, Amsterdam, as part of New Realities: Photography in the 19th Century, from June 16 until September 17, 2017.